Sony’s PlayStation Vita PlayStation Vita Slim Review And Giveaway PlayStation Vita Slim Review And Giveaway Is this Vita Slim (also known as the Vita 2000) better than the original? Read More isn’t exactly setting the handheld world on fire in terms of sales, but it is a solid console with a decent lineup of games. It also plays quite nicely with the PlayStation 4 Sony PlayStation 4 Review And Giveaway Sony PlayStation 4 Review And Giveaway Ladies and gentlemen, the next generation of video game consoles is here, with the Sony PlayStation 4! Read More , with games available via Cross-Buy 5 Of The Best Cross-Buy PlayStation Games You Should Play 5 Of The Best Cross-Buy PlayStation Games You Should Play Looking for value? Looking for games you can sink your teeth into, whether you're at home or on the go? These Cross-Buy PlayStation games have you covered. Read More and remote streaming possible. With the hardware not selling at a staggering rate, it makes sense that Sony would try to find another way to use the tech that powers it –and that’s exactly what the PlayStation TV does. 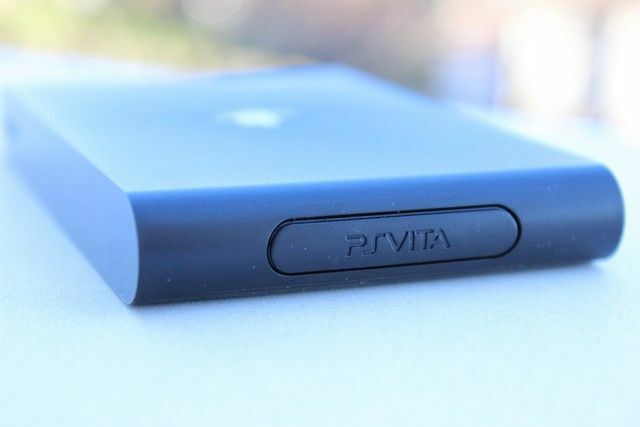 PlayStation TV is a Vita tucked inside an Apple TV-like device. Is it worth buying? Does it deliver a solid gameplay experience with Vita games, PS1 classics Considering a New Slim PS Vita? These Cool Games Will Convince You Considering a New Slim PS Vita? These Cool Games Will Convince You Are you ready to get a Vita? Read on to discover its must-have games at every price - even free! Read More , and streaming from the PS4? Does it have a strong entertainment offering outside of gaming? All these questions and more will be answered in this review! 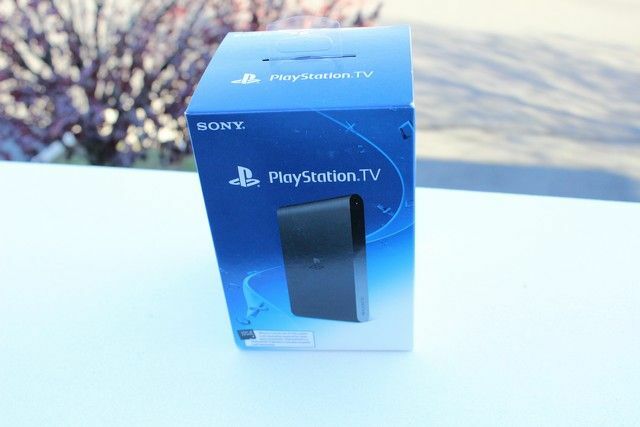 Best of all, we’re giving a PlayStation TV away to one lucky reader! Keep reading through to the bottom of this review to enter for your chance to win! Sony’s PlayStation TV was released several months ago in Japan with the name Vita TV. In the west, the Vita has not seen great success, and the PlayStation 4 is currently leading in the console battle, so it makes sense that Sony rebranded the device with the PlayStation name instead. Name changes aside, there’s no different between the two devices. 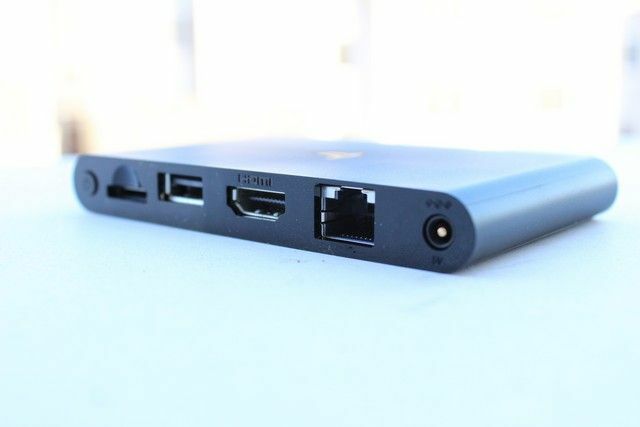 It’s a small, Apple TV-like device, at least from appearance. It’s reasonably cheap, coming in with a $79 price tag. The emphasis is more heavily placed on gaming, putting it more in line with the Amazon Fire TV Amazon Fire TV And Fire TV Game Controller Review & Giveaway Amazon Fire TV And Fire TV Game Controller Review & Giveaway Amazon launched the Fire TV, a media center device not unlike the Apple TV, but with gaming as perk. Read More , but it’s lacking in the media department, a fact that we will get to later in the review. 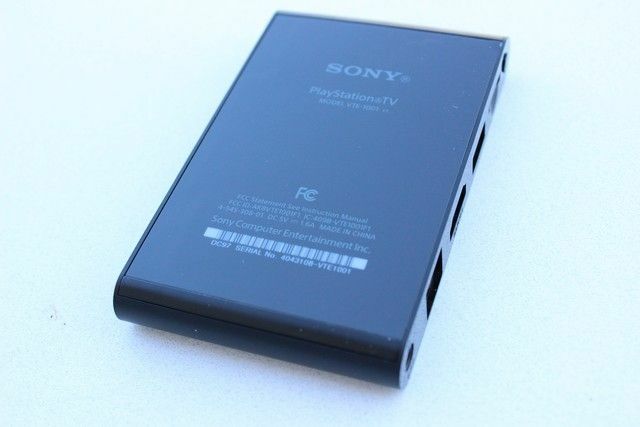 The main purpose of the PlayStation TV is two fold. First, it’s a device made for playing Vita games on a TV. Second, it’s meant to give gamers a way to play PlayStation 4 games in a room where their console isn’t. Portable games on a large TV is something that will definitely have limited appeal, but that, along with the ability to stream PS4 games, makes the idea behind this device at least seem logical in theory. It certainly has niche appeal, and not all gamers are going to want to jump on what Sony is offering here – but for those who want to get some more use out of Vita games while taking their PS4 games into other rooms, this could make sense. The question is: does it do what it sets out to well enough to justify its existence? That’s exactly what we are going to figure out right now. The very first thing you’ll notice about the hardware of the PlayStation TV is how small it is. It’s positively tiny – only 4.1 inches long. Next to a device like an Apple TV, which is small compared to an actual game console, it looks like a baby. That’s not a negative, though, as that also means it takes up less space on your entertainment center. 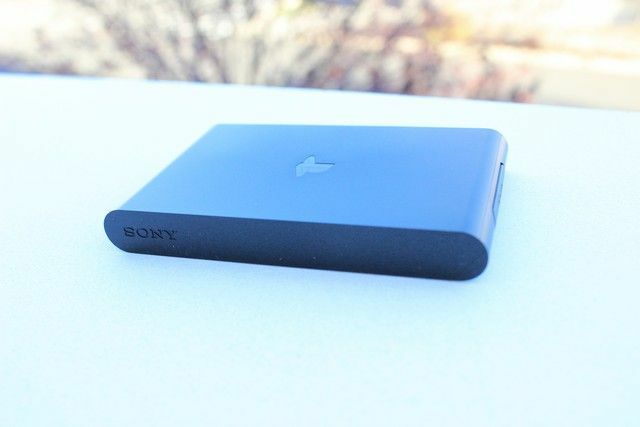 If you’re planning on adding the PlayStation TV to a suite of other gaming and entertainment hardware, not having another big device could come in handy. Moving on to the connectors, you’ll find HDMI, Ethernet, USB, a port for the power cord, a slot for the Vita memory card, and a slot for PS Vita games. It’s all very self explanatory, and you’ll be able to hook it up to your TV in just a few seconds. The USB port is used for interfacing with a controller and keeping it charged up while in use. Speaking of the controller, one isn’t included with the PlayStation TV. Instead, it uses existing Dual Shock 3 or Dual Shock 4 controllers (the ones that come with the PS3 and PS4, respectively). This is sensible, as the device is primarily designed for gamers who already own PlayStation 3 and PlayStation 4 consoles – throwing in a free controller would have added an unnecessary burden to the price. As far as the specifications, this is just a PlayStation Vita squished into a tiny shell with no screen. This means games are blown up to be played on a large display, and they don’t all look great. We’ll dive into that in a bit, though. Have you ever wondered what it might look like to take a PlayStation Vita interface and make it fit on a much larger screen? Well, you don’t have to imagine anymore, because that’s exactly what Sony did with the PS TV. The same circles representing each game and app are present, and well, let’s just say it’s not the most sensible way to navigate with a controller. It would be like taking iOS and using it on your Mac. Sure, iOS is a great interface, but it’s great for a small touchscreen. It gets the job done well enough, and you’re never more than a few controller presses away from getting to the game or application you want to use. It would have been nice to see Sony put a little more effort into creating an interface specifically for the PS TV, but it’s understandable why it didn’t. One thing Sony did was put out a special section of the PlayStation Store where you can see only games supported by the PS TV. This will make it a little easier to find games – and if you’ve never owned a Vita before, you’ll be able to come here and never have to worry about downloading apps that you later find out are not compatible with the device. It just looks like the standard PlayStation Store, but it’s nice that Sony at least took the time to make sure there was a place for owners of this piece of hardware to find games they can actually play. The list of games leaves something to be desired, but then again, so does the Vita library as a whole. It does however include arguably the best game released on the platform – Persona 4 Golden. The reason that not all Vita games are supported across the board is because you have to play with a controller, and some Vita games are heavily reliant on a touch screen. In games like OlliOlli – where the touch screen is only used for navigating menus – a simulated touch screen is applied. You access this by pressing in on either the left or right joystick, and once done, hands will appear on the screen. You move these with the sticks, and control as you would if you were touching an actual screen. Unfortunately, there is no support for the touch pad on the Dual Shock 4. For the most part the simulated touch screen does a decent job, but – going back to the OlliOlli example – switching back and forth between regular controls and touch controls each time you die can be a pain, and it’s far from the optimal way to play. Otherwise, playing games on the PS TV is a fine experience. Sure, you’re looking at games that were meant to be seen on a small screen rather than on a larger one, and they don’t look as nice, but it’s still playable. Is it better than a PS3 or PS4? Not even close, but if you’re looking to play Vita games on the big screen, this is as good as it’s going to get. If the library of Vita games doesn’t do it for you, and your network isn’t strong enough for PS4 streaming, there’s still some other places you can get some fun out of the PlayStation TV in the form of classics. Sony has all kinds of PS One and original PSP games available, and the list of games supported is quite large. Is that a reason to run out and buy this device? Certainly not, but it’s a nice bonus, as long as you don’t mind dropping a few bucks to go on a little nostalgia trip. The main reason to own this device, and arguably one of the main reasons to own a Vita, is Sony’s Remote Play. With this feature, you can stream PS4 games from the main console to the PS TV. It’s a really great idea for anyone who has their PS4 in a room that is frequently used by others. You will only want to use this for games where twitch reactions aren’t important. For slower games where you aren’t competing with other players, it’s a perfectly acceptable experience as long as you aren’t the type of player who freaks out over a bit of input lag. Games like Call of Duty in multiplayer are not worth playing, because you’ll be at a serious competitive disadvantage. 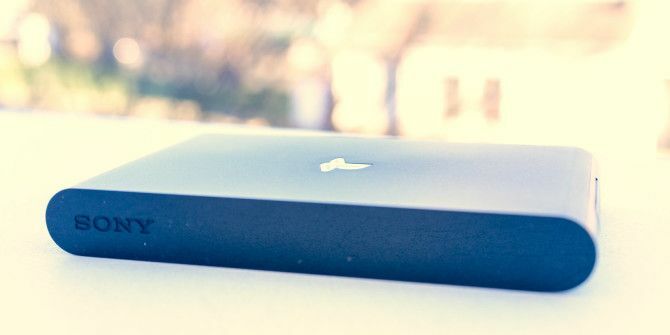 It’s not the best way to play games by any means, but if you really can’t get a lot of time in front of your console in the room in which it resides, it’s at least passable, and will only get better as Sony improves its streaming technology. When you hook a box up to your TV, one of your major expectations is probably being able to watch videos on your TV with that box. You probably have an expectation of some core applications that you can use to watch movies, TV shows, and all kinds of other entertaining things. Unfortunately, very few of those apps exist for the Vita TV. Very, very few. Apps like Crackle and Crunchyroll are present, but even though Netflix is available to download, it’s not actually supported on the device. That’s right, Netflix, the king of streaming movies and TV shows, doesn’t work. I will put it really simple here: this is terrible device for general entertainment. If you’re going into this thinking you can replace your Apple TV or Roku with a device that can also run PlayStation games, you are going to be extremely disappointed. It doesn’t even have the bare minimum of apps required to be considered a competent media player, and it definitely doesn’t go above and beyond. This is a game playing device with minuscule support for media apps, and you need to be aware of that before you spend your hard-earned cash on it. All in all, the PS TV isn’t a bad device, but it’s not great, either. With it you can play a sample of the Vita’s already small library on your TV, and even some PS One and PSP games – which is nice, but hardly worth purchasing for that alone. The main selling point is the PS4 streaming, but that’s not a perfect experience with any fast-paced game. If you’re always kicked out of the room where your PS4 resides, and you’d welcome the chance to take your gameplay elsewhere, it’s a handy feature. How Do I Win The Playstation TV? 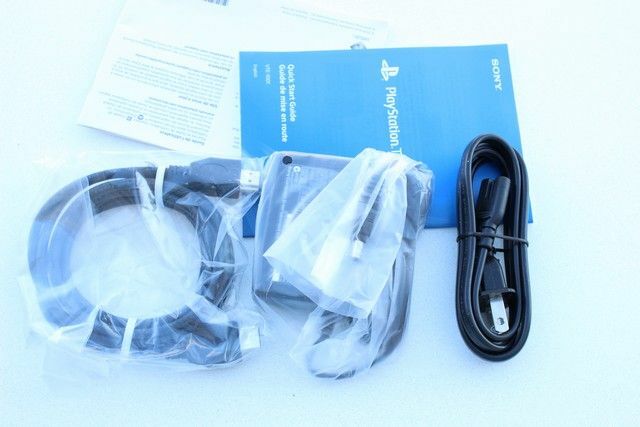 Explore more about: MakeUseOf Giveaway, PlayStation. i realy realy want this! This would be perfect for when my grandchildren come round. Could be very useful product,give me a chance & I will let u know. Probably also is able to stream from the Xperia devices... Phones and tablets from Sony also have stream option. Makes playing games easier from those devices. Like to try that out.